1. Continuous alkali refining shortens contact time between oil and lye,reduces grease saponification, lowers refining consumption, and improves efficiency. 2. 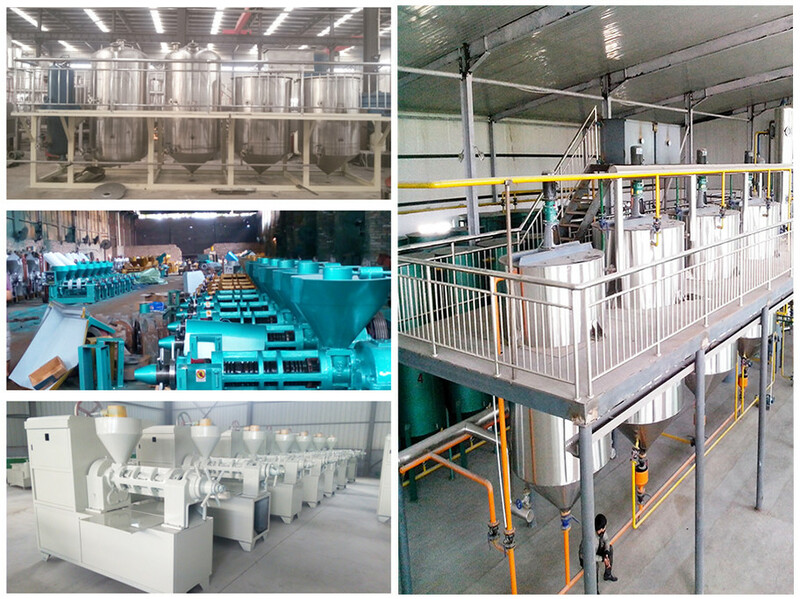 Bleaching adopts technology of combining premixing and steam mixing bleaching,which improves bleaching efficiency, saves consumption of bleaching clay, and it is simple and convenient to operate; and negative pressure state avoids oxygen in the air from contacting with hot oil, thereby ensuring oil product quality, inhibiting acid value to rise again, and lowering peroxide value. 3. 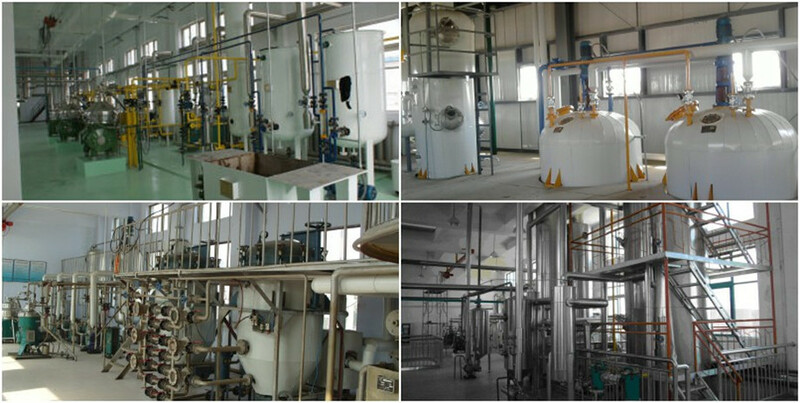 Deodorization adopts new type continuous deodorization equipment which is applicable for deacidification and deodorization of plant oil with high acid value and low-resin content, the actual production proves its most obvious advantages are strong deacidification ability, excellent hot bleaching effect, high refining rate (increase for 0.4/AV), good oil quality and so on. 4. 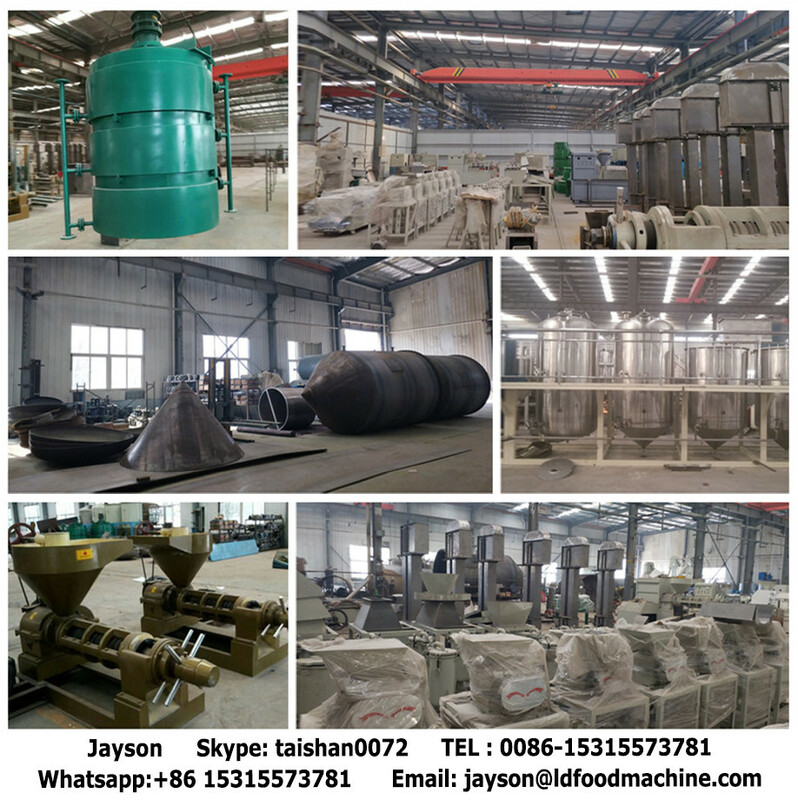 The process has multiple heat exchange, which makes full use of the heat energy system, effectively reduces steam consumption, and also has the advantages of adjustable production process, flexible operation, high automatic degree, environment sanitation and so on. 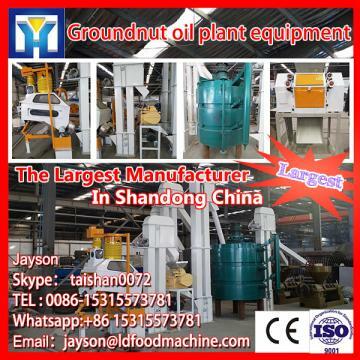 Xinxiang Hongyang Oil Engineering Co.,Ltd,Located in grain and oil homeSkype： taishan0072 of China(cover more an 2/3market in China),we are a professional oil engineering company which offer variety of service such as design,manufacture,installation,debugging,after-sales service etc. Our company owns a design team which constitutes with senior engineers and experts.We are offering the efficient and quick service to inland and abroad customers by using us advanced technology and equipment.Our company has grown into Chinese grain and oil machinery production and export base,our production and the comprehensive economy indicators lies in the forefront of the same industry line,The products have been sold all over the country and exported to many countries and regions such as Nigerian,Tajikistan,Kazakhstan,South Africa,Ukraine,and so on. A: carbon steel and stainless steel, customized. Q: How long is your Skype： taishan0072very time? A: Generally it is 3-5 days if the goods are in stock. 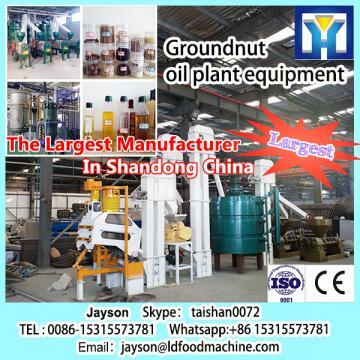 or it is 30-35 days if the goods are not in stock, it is according to the capacity you need. Q: What about the quality warranty?